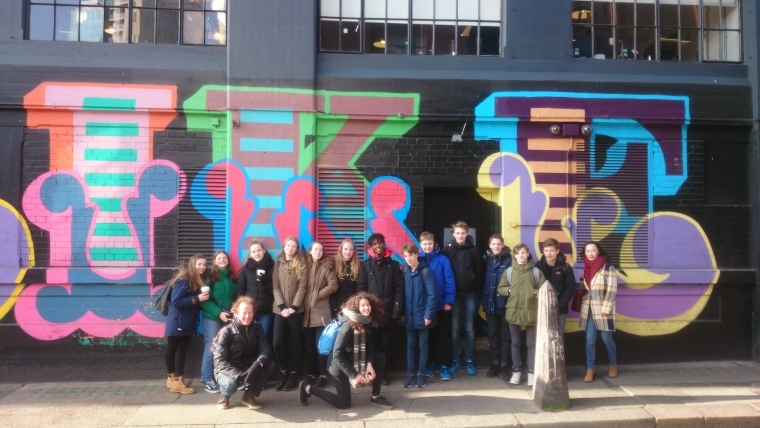 We love showing students around the East End’s street art – here it’s Ben Eine’s Like Nothing. Street Art is everywhere in London’s East End! 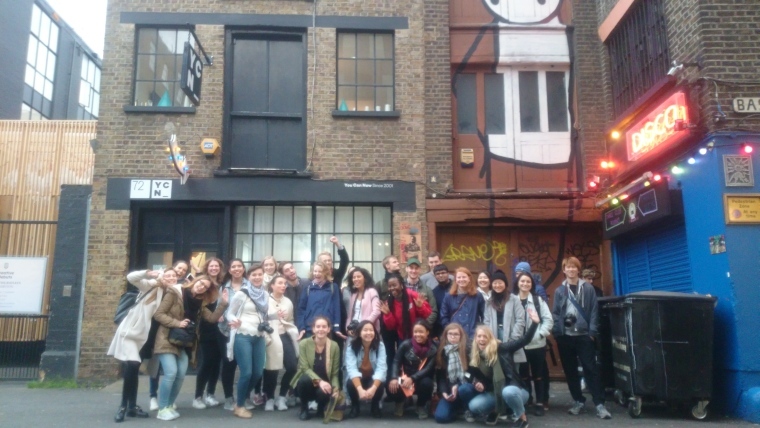 A great group of students in Rivington Street – one of East Londons street art hot spots! 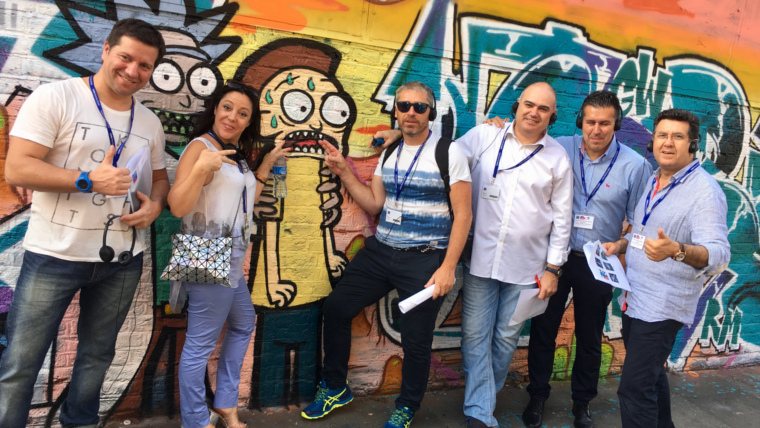 Carrefour Executives on London Business School’s training programme on our Street Art Tour! Street art is interactive! We love you too, urbansolid! 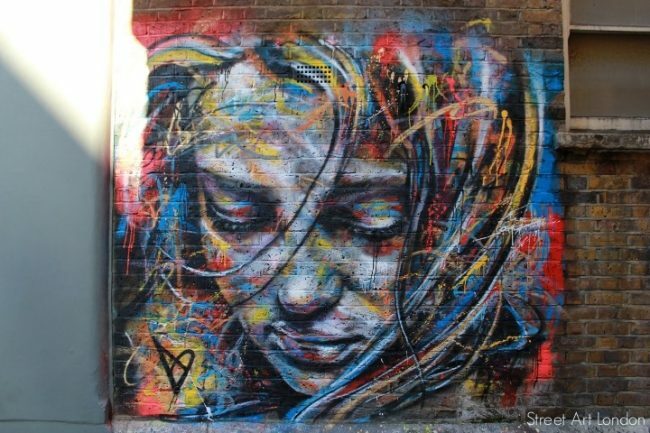 London is filled with street art and graffiti hotspots with artists from around the world leaving their mark. Whether you are a seasoned visitor, on your very first trip, or have called this city home for years, it can be sometimes difficult to spot the hidden treasures London has to offer. Discover one of the earliest (now protected) works by world-famous graffiti artist Banksy. Learn about the artist who had tea with the Prime Minster and whose work was given to the U.S. President as a gift. Find out why mushrooms grow on pretty much anything in the East End of London. Discover murals and art installations by artists such as D*Face, James Cochrane, Stik, Shepard Fairy, Space Invader and many more! 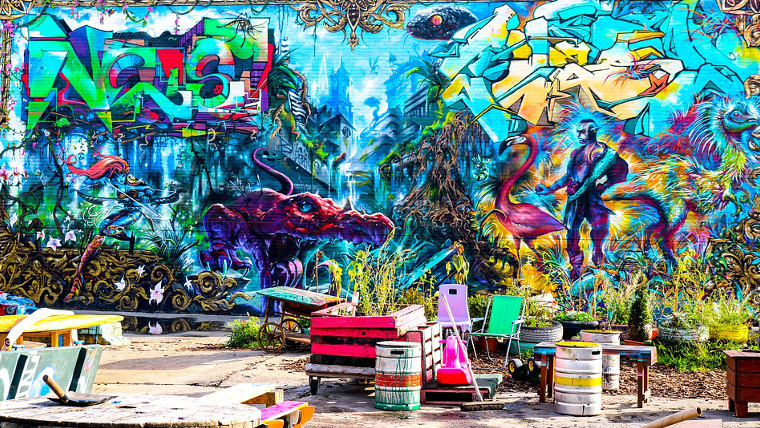 The Street Art Tour is a hit for all kinds of people and since the street art scene is ever-evolving, our tour guides continually update their own knowledge so that you don’t miss out on the exclusives. The Street Art Tour of London is a walking tour that keeps continuing, with new art to find around every corner. HOW LONG IS THE STREET ART TOUR LONDON? 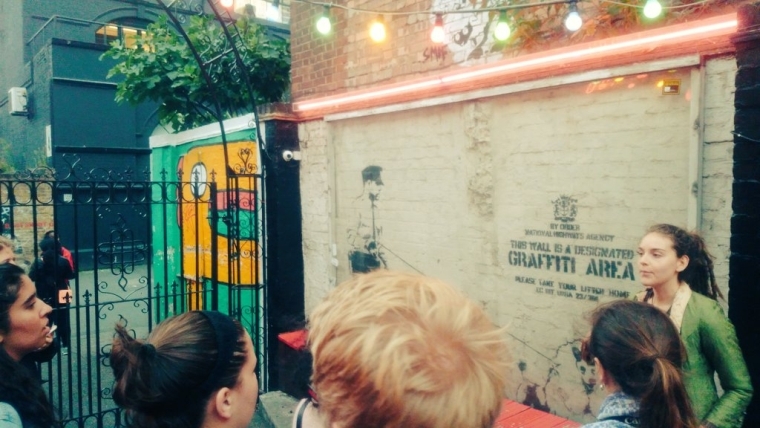 The London Street Art Tour may also be booked as a private tour at a time suitable for you and your party, please send us an email to make an enquiry. We can also arrange a Private Street Art Tour in French and Italian, please send us an email and we will arrange it for you. The tour finished at the old Truman Brewery, a short walk from Liverpool Street Station.